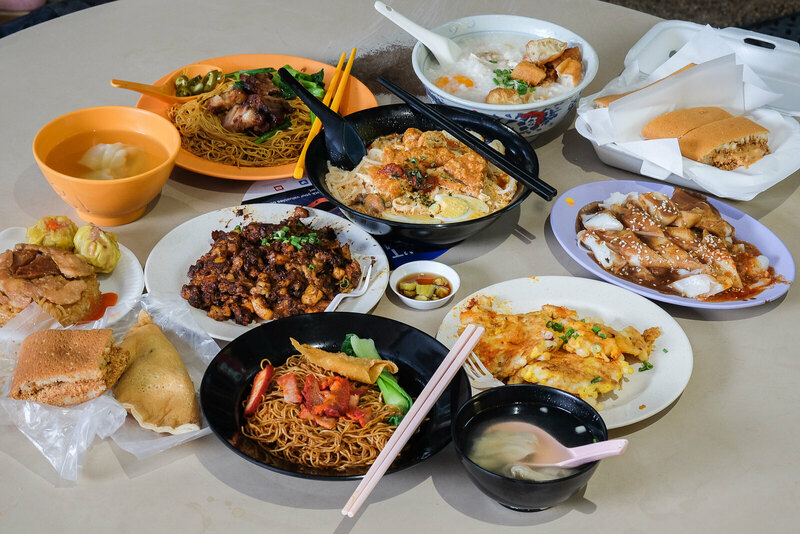 You are here: Home » Blog » Bendemeer Market & Food Centre – 14 Stalls You Must Try! 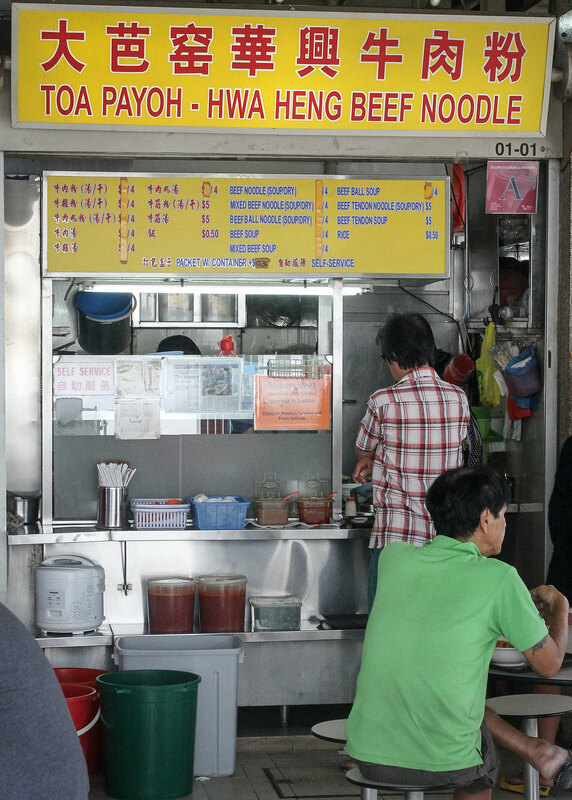 It’s difficult to find plenty of above-average hawker stalls all located in one hawker centre. Thus, I became a strong advocate for the food at Bendemeer Market & Food Centre after trying almost all the stalls in the hawker centre. Here are the stalls that you absolutely can’t miss! 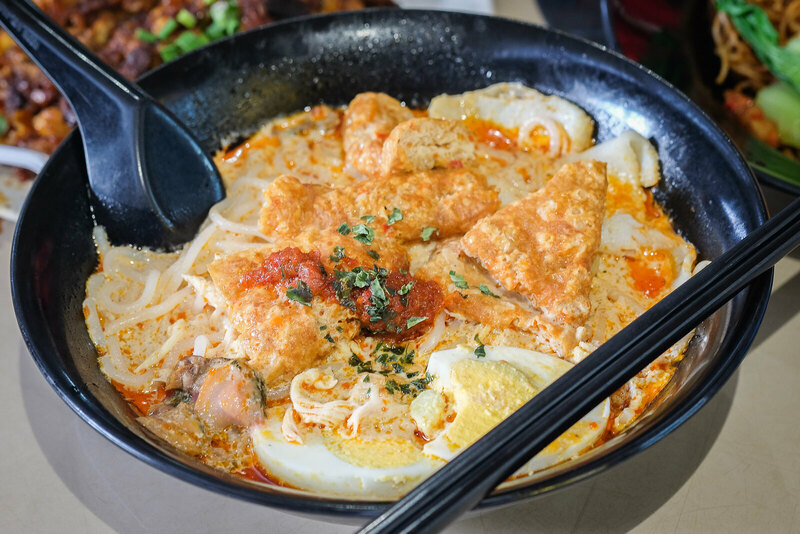 Min Ji Laksa ($3) is the one thing that I will get whenever I’m at Bendemeer Market & Food Centre. Firstly, the laksa broth reminds me of my primary school’s laksa — very coconut-y, milky, not really spicy and old-school! Its blood cockles are fresh and plump. I’m glad that Min Ji adds shredded chicken to their laksa too. Additional ingredients start from 50 cents. 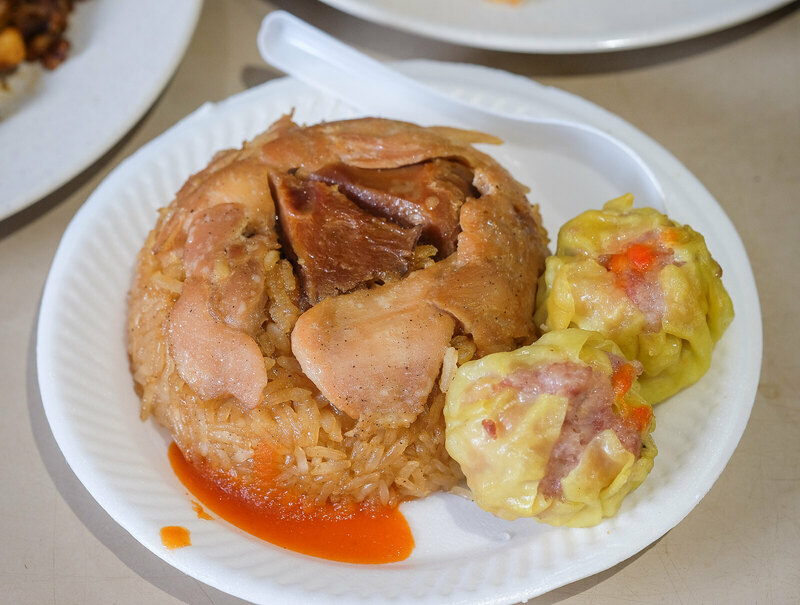 Trust me, the $3 portion is sufficient, but not shiok enough because you will yearn for more! Opening Hours: 7:30am to 3pm. Closed on Tuesdays. 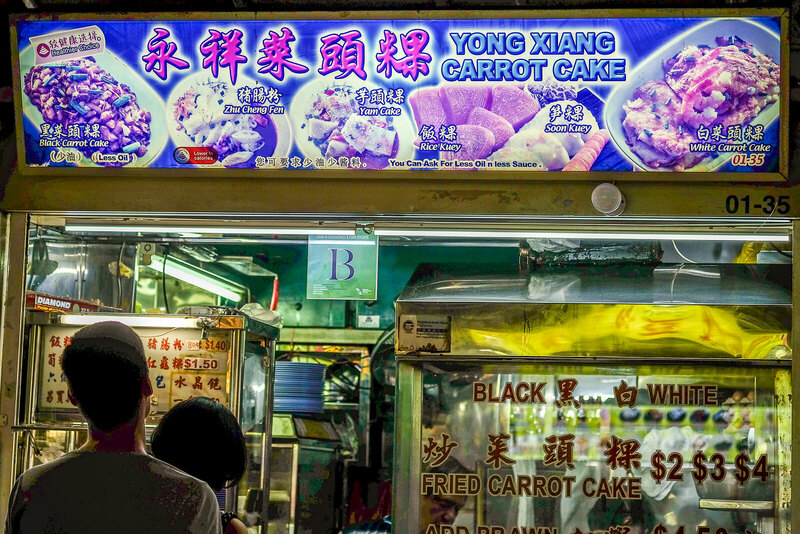 Writing about Yong Xiang Carrot Cake excites me! 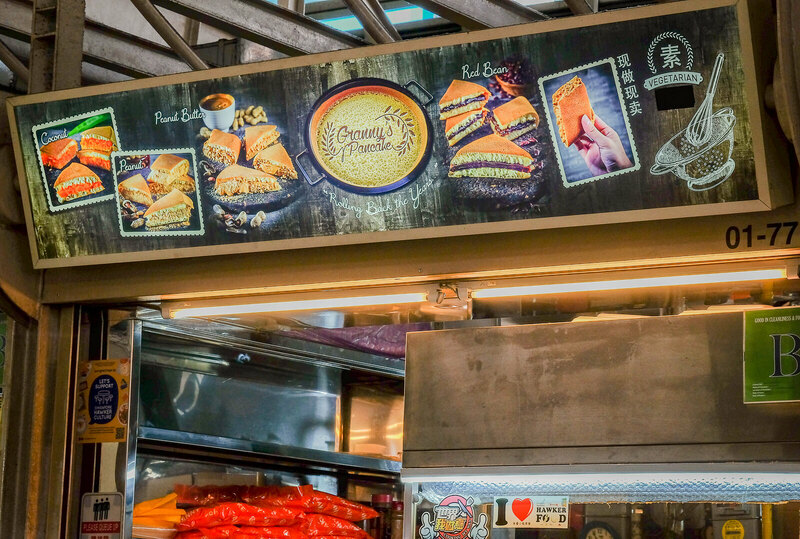 At first, it may look like the stall is split into 2 different stalls selling different things — Chinese Kuehs (bite-sized Chinese snacks such as dumplings, Soon Kueh and Peng Kueh) on the left, and Carrot Cake on the right. 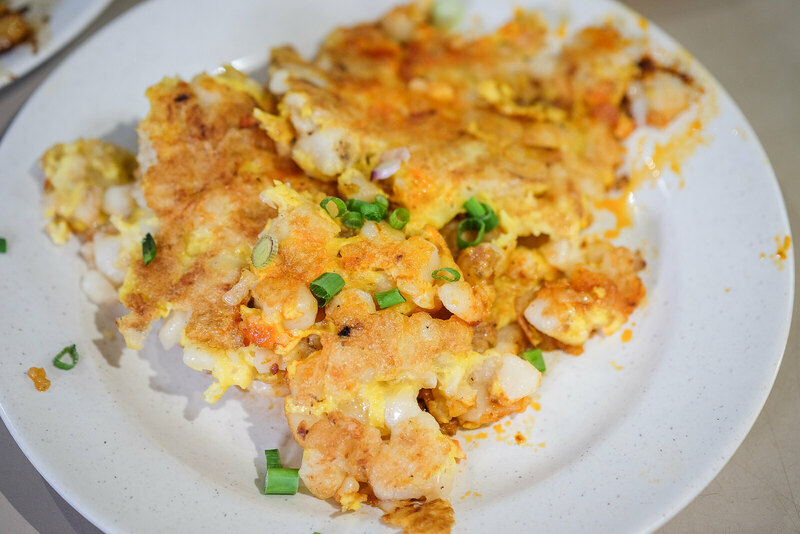 You can actually request to have your Soon Kueh and Peng Kueh (or other kuehs that are available) fried with eggs, exactly in carrot cake-style. 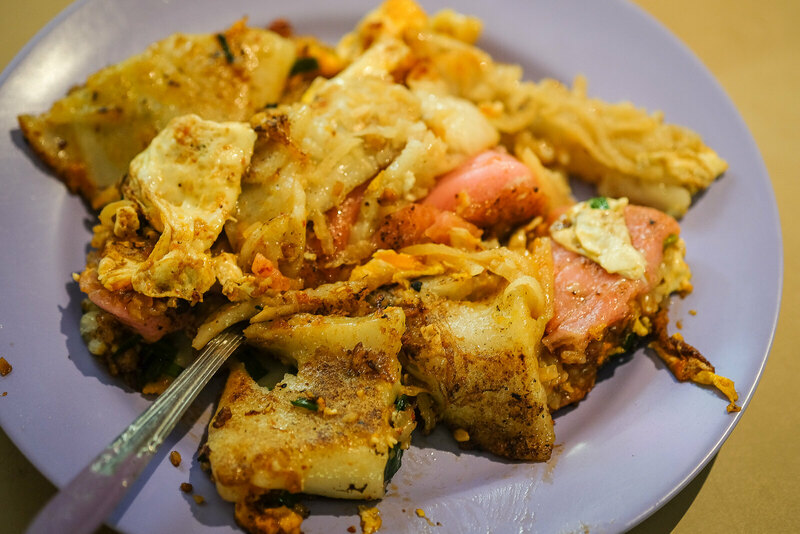 The plate of messy yet addictive “special carrot cake” ($3.70) was so fragrant! The dish was quite oily but it was so good! Opening Hours: 6am to 2pm. Closed on Mondays, Wednesdays and Fridays. Now, don’t get me wrong. I still love the usual black and white carrot cakes. 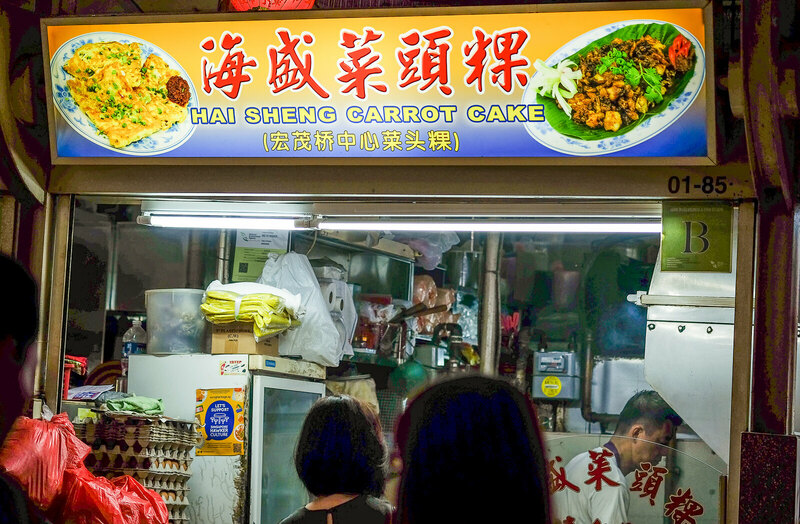 And there must be a reason why Hai Sheng Carrot Cake usually sells out within 4 hours. You know how some carrot cake stalls’ white and black carrot cake only differs in colour? Well, Hai Sheng Carrot Cake shows us the distinctive differences there should be between white and black carrot cakes. The white carrot cake ($2) looked more like a plate of golden carrot cake as it was fried well with crispy eggs. The chili makes the fragrant golden dish beautifully orangey. On the other hand, the black carrot cake ($2) was dotted with scrambled-like eggs. I had a hard time deciding which is better because it was like comparing an apple and a watermelon. Both of them are distinctively different! Give them a try and you will know what I mean. Opening Hours: 5:30am to 11am daily. Usually sold out by 9am. 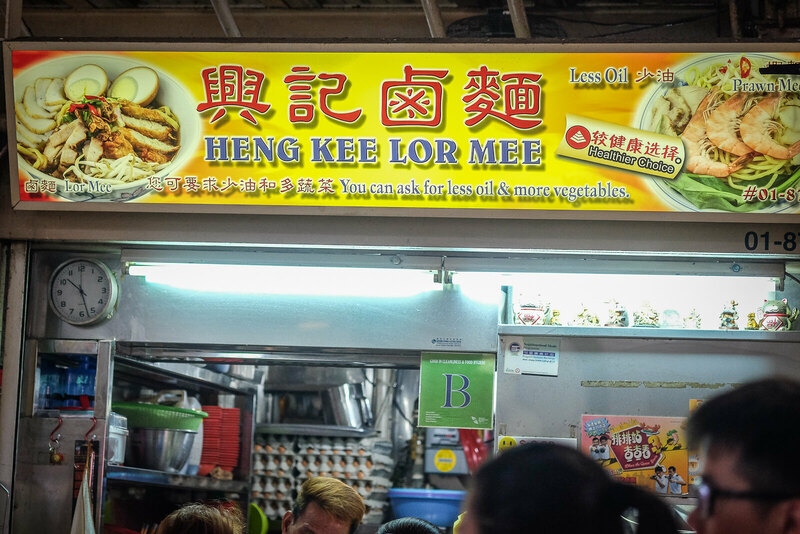 Known for their special fried pork belly (instead of the usual Chinese Five-Spice Pork Roll) in its lor mee, Heng Kee Lor Mee ($3) is a favourite amongst many of the patrons at Bendemeer Market & Food Centre. 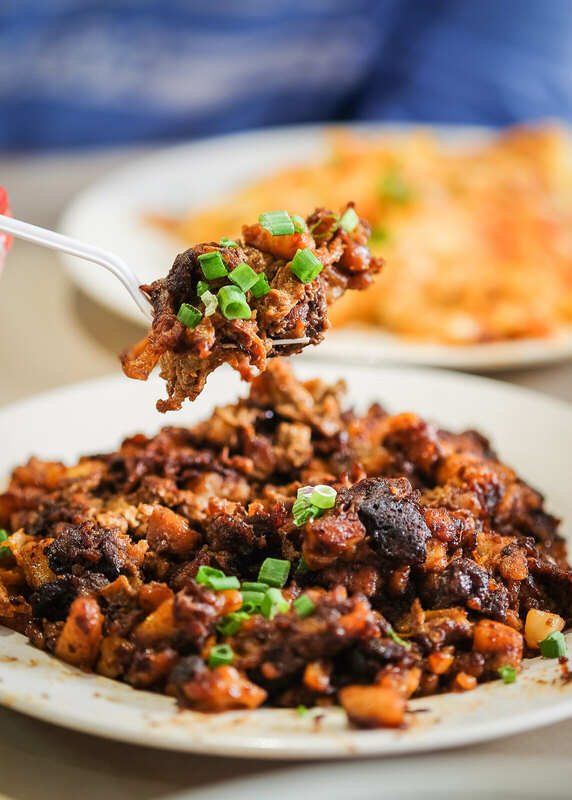 Years ago, patrons suggested frying the typical braised pork belly, and the owners heeded the suggestion and had never looked back since. 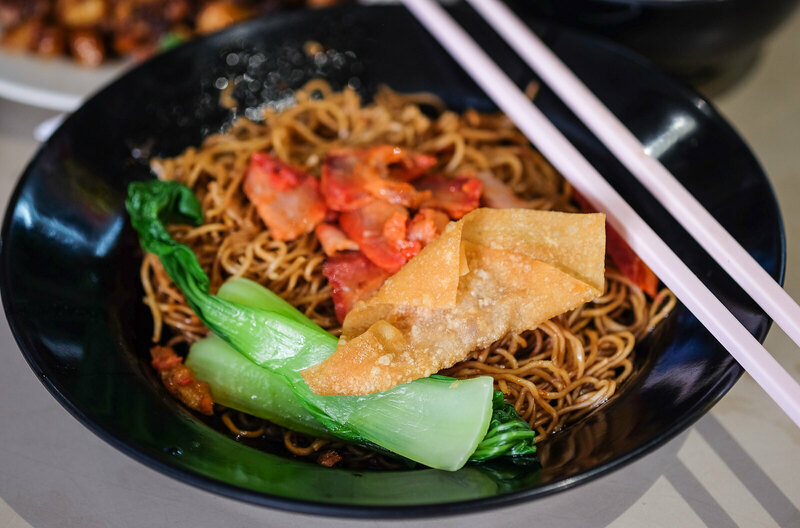 If you do not know, the deep fried pork belly is savoury and slightly crunchy, and actually had a texture similar to that of sweet and sour pork. I love that the pork belly was slightly fatty. 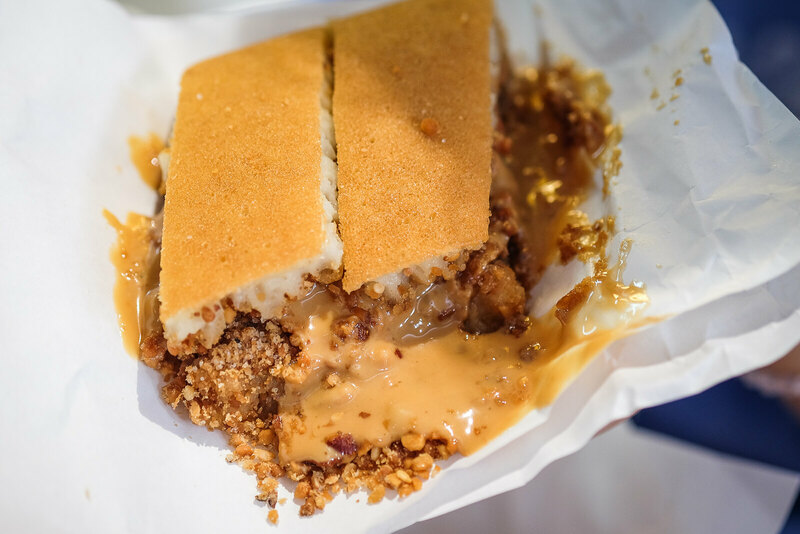 The fatty layer gave a nice soft contrast to the crunch you experience when you first bite into the morsel of goodness. Opening Hours: 5am to 1pm. Closed on Mondays. Of the two different types of beef noodles available, I prefer the dry version ($4) which came with thin beef slices drenched in a dark gravy. Although the gravy only has a very mild herbal aftertaste, my colleague discovered that the chilli sauce elevated the flavours with an acidic tang and umami. If you can take spicy food, pile on the chilli! 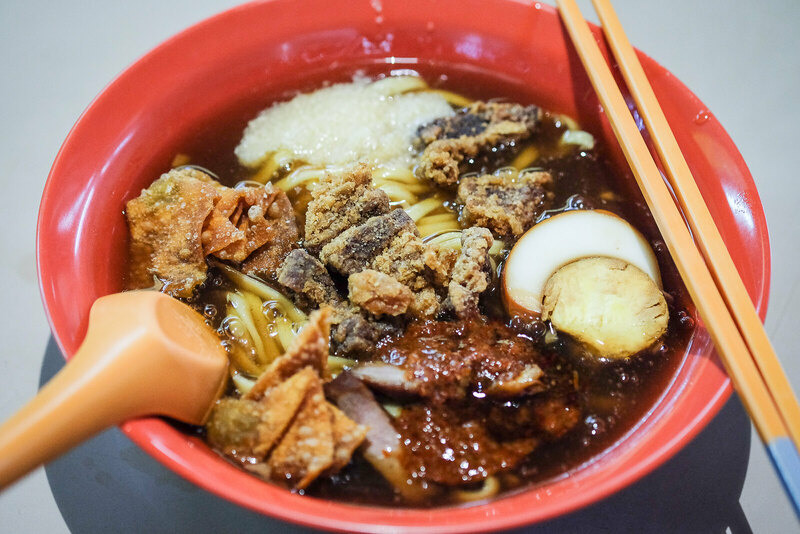 Beef lovers will enjoy the palatable small bowl of broth that accompanies the dry noodles. Note that the broth does not taste the same as the broth in the soup version of beef noodles. Opening Hours: 10am to 2:30pm. Closed on Mondays and Tuesdays. 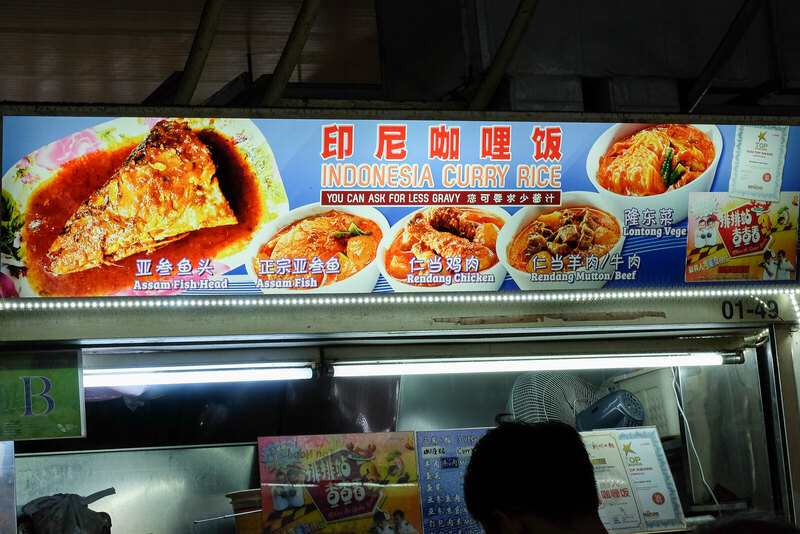 You can never miss Indonesia Curry Rice, because there’s always a long queue stemming from it. 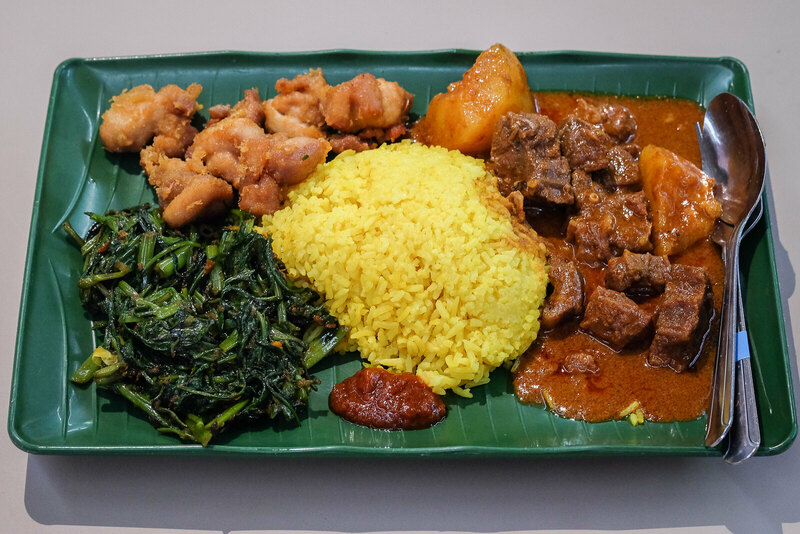 You may see it as the usual mixed vegetable rice queue, but Indonesia Curry Rice actually serves Indonesian-style nasi lemak which comprises nasi kuning (Indonesian for “yellow rice”) or nasi kunyit (Indonesian for “turmeric rice”). Unlike fragrant Muslim-style nasi lemak, the rice had a very mild coconut flavour. Get the beef rendang and ask for more gravy! Opening Hours: 10:30am to 7:30pm daily. 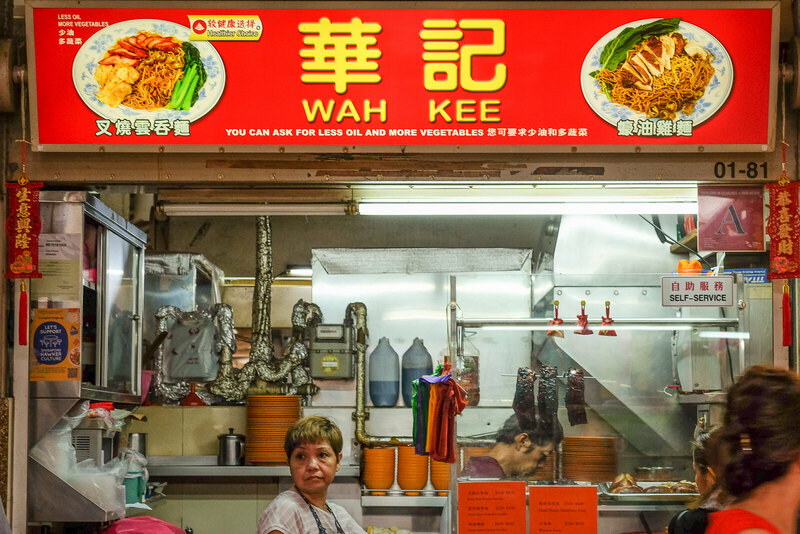 Opened for only 4 years in Bendemeer Market & Food Centre, Casper Seafood is a tze char brand with a few outlets. Most of the patrons go for its hor fun! 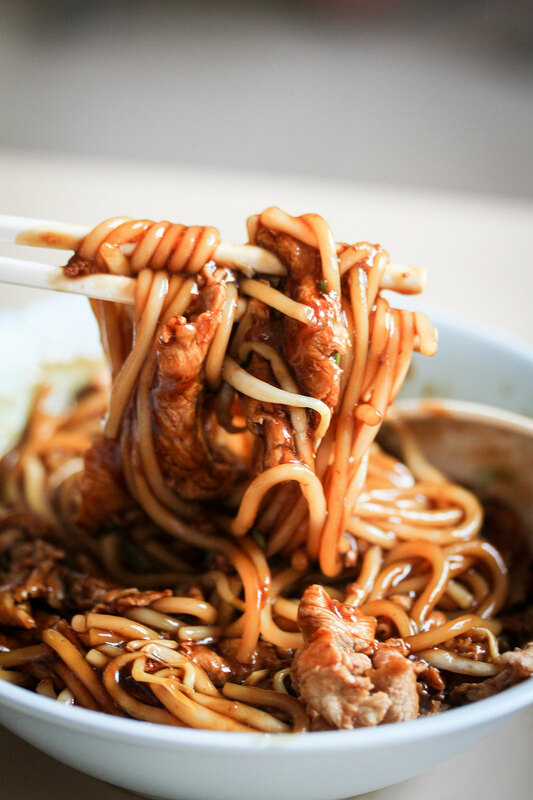 Known for its strong wok hei, the charred Hor Fun ($4) with its thick gravy keeps regulars coming back for more! Opening Hours: 10am to 2 pm & 5pm to 8pm daily. Having tried many wanton noodles lately, I am actually pleased with Wah Kee’s wanton noodles ($3). Almost every element was above average. The old school springy noodles tasted even better with their chilli. Slurp! Oh, and I love that the wantons are slightly larger than typical wantons. The star, if you haven’t already guessed, is the char siew which is clearly expertly roasted. Opening Hours: 7:30am to 3pm daily. 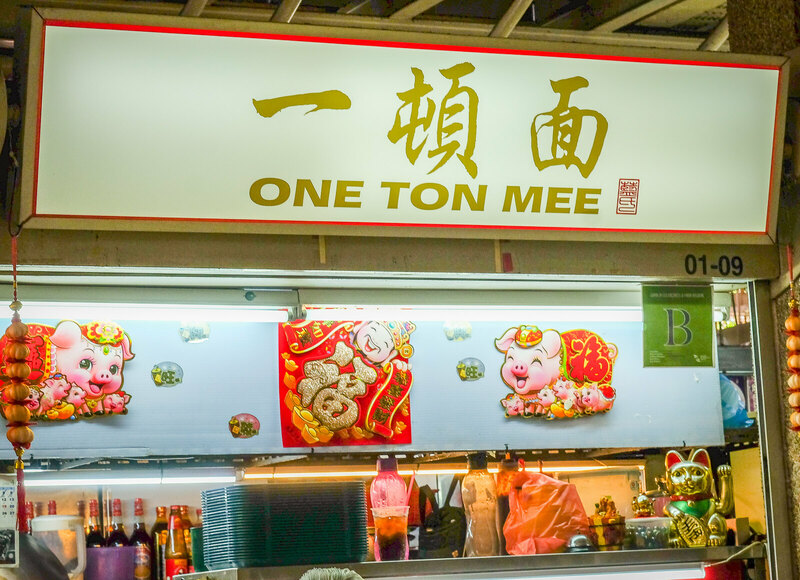 One Ton Mee differentiates itself from other wanton mee stalls by using Kolo Mee. 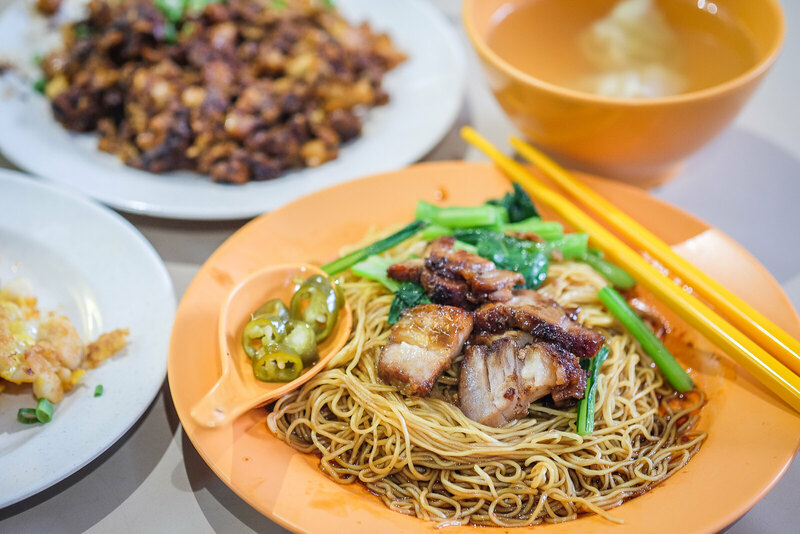 Overall, the Wanton Mee ($3) is on the sweeter side — even the char siew is pretty sweet too. The steamed wantons were nothing special but the fried wanton were quite addictive. 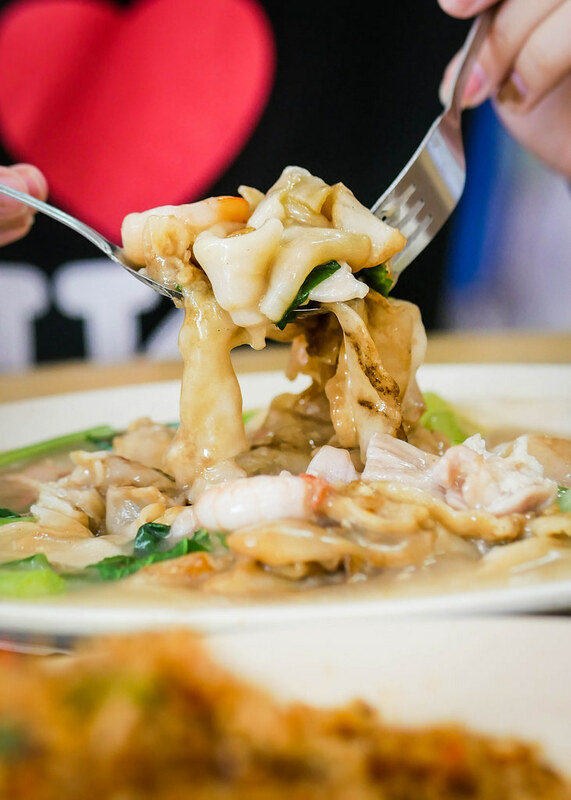 You may want to get more fried wantons($3) to munch on. 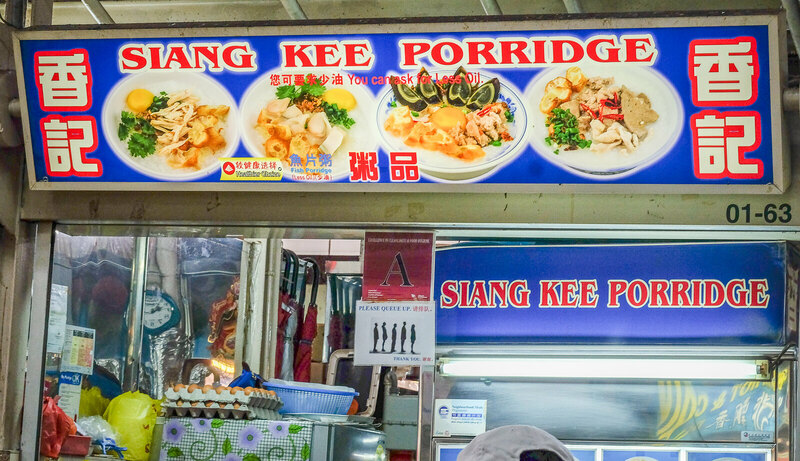 Siang Kee Porridge’s Hainan-style porridge is my comfort food. Usually, I will get the pork porridge but I was feeling a little under the weather, so I decided to get the Shredded Chicken Porridge with Egg ($3). 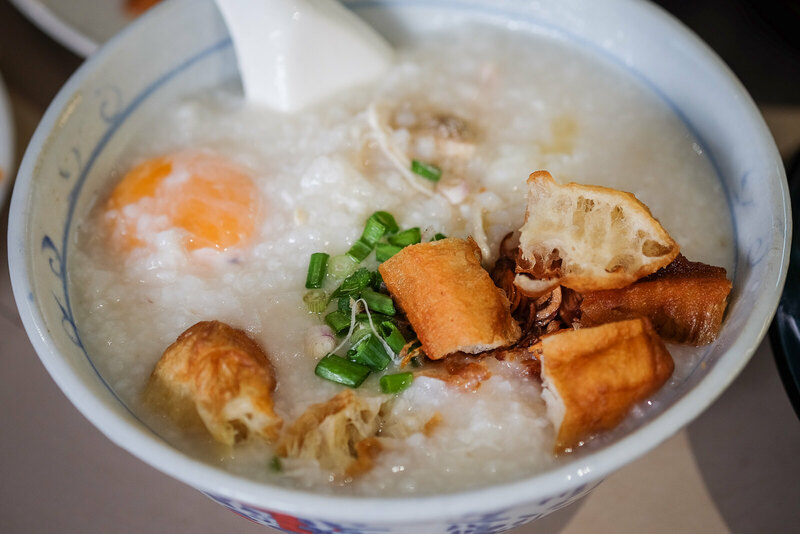 Do not expect a flavourful bowl because even with the egg, the porridge is quite plain. However, their porridge is homey and comforting! Be patient with the owners as they are usually super busy. Opening Hours: 7am to 2pm daily. 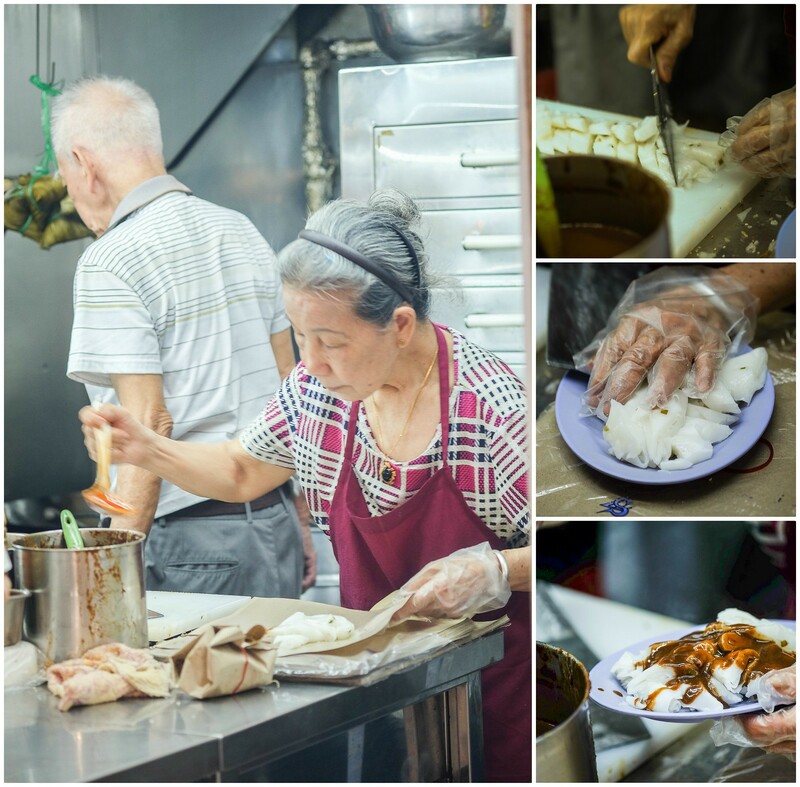 An elderly couple, whom I believe to be at least 70 years old, churns out their well-loved chee cheong fun efficiently. 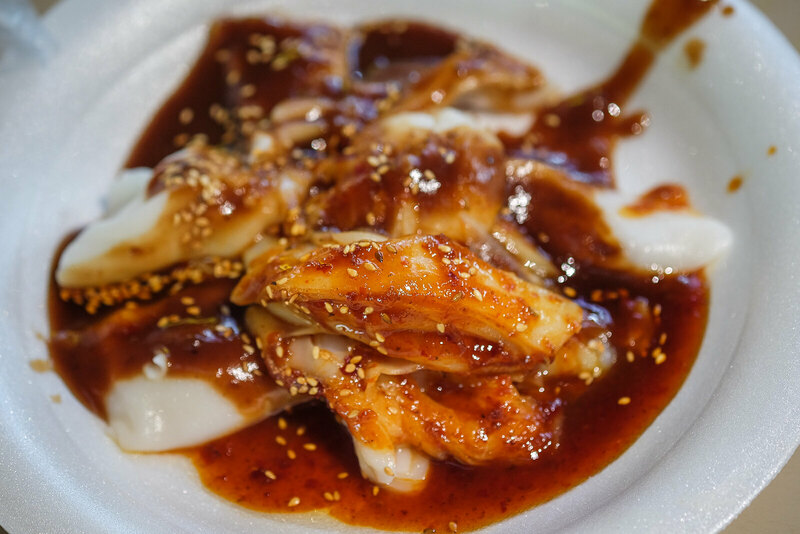 Their smooth and silky plain rice rolls ($0.80 each) with sesame seeds and sweet sauce are a simple treat which make for a quick and yummy breakfast. I like how the couple works hand in hand to serve their customers faithfully. 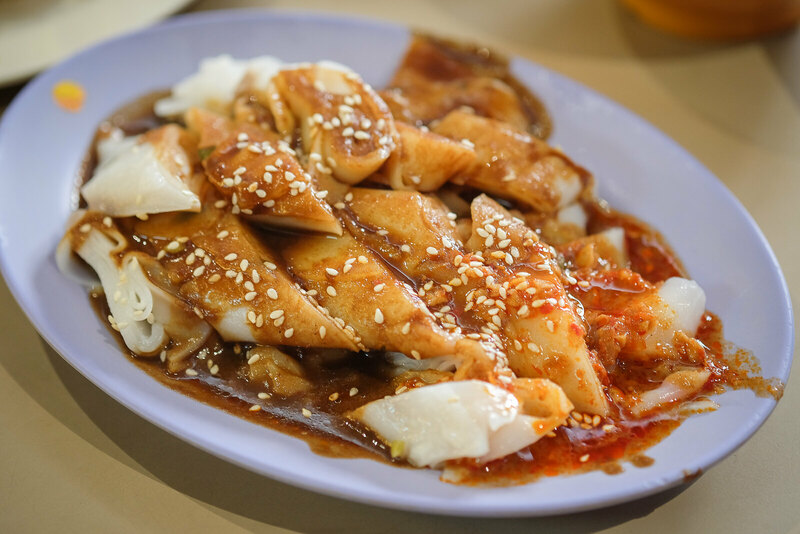 You can find traditional chee cheong fun, many other dim sum dishes and even traditional Chinese rice dumplings here. They also offer economic beehoon with typical ingredients. Opening Hours: 8am to 5pm daily. 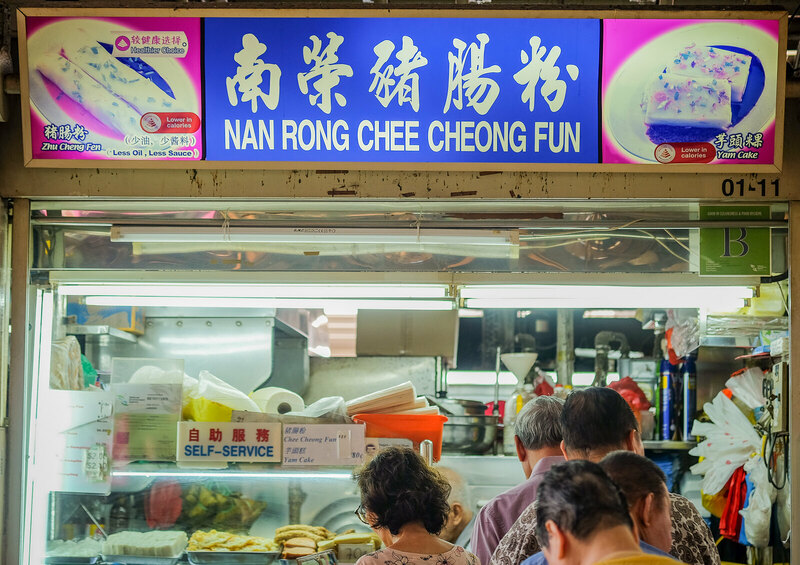 Another chee cheong fun stall! I didn’t want to try this because I’m a loyal supporter of Nan Rong Chee Cheong Fun. But I remember that the first time I caved and queued for it, the rice rolls were sold out already, at 10am!! I told myself I must get it the next time I’m here. 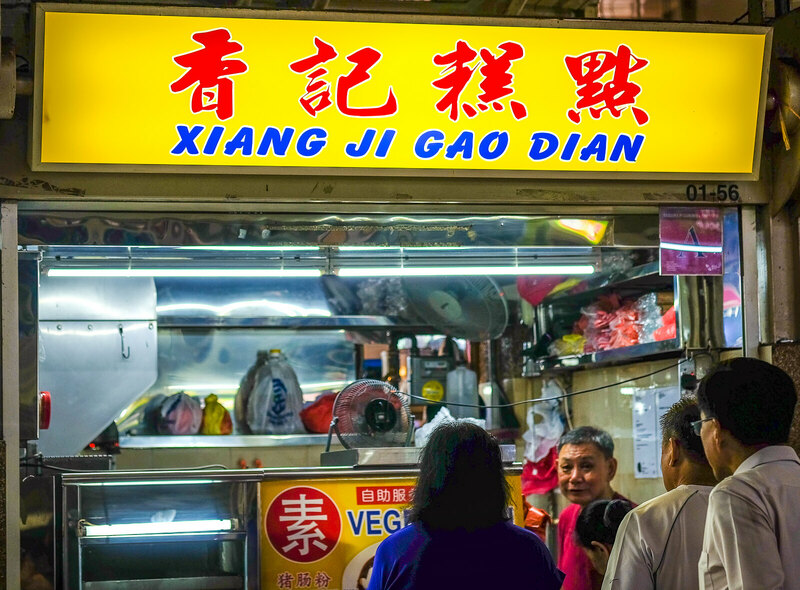 I actually prefer Xiang Ji Gao Dian’s chee cheong fun ($1 each, minimum 2 to order) to Nan Rong Chee Cheong Fun’s as the sweet sauce was more palatable! Opening Hours: 7am to 10am daily. Or till sold out. 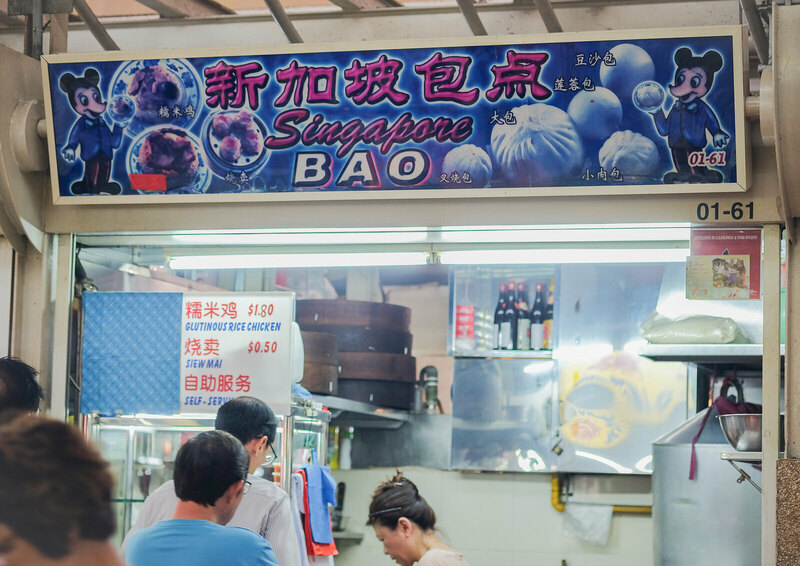 With only 2 items on its menu, Singapore Bao surprisingly does not sell Baos (buns). Purely handmade, Singapore Bao’s Siew Mai ($0.50 each) and Glutinous Rice ($1.80) are worth a try! Similar to those seen in Johor Bahru’s Pasar Malam, the siew mai is unlike those Cantonese siew mai you see in dim sum restaurants. I highly recommend the glutinous rice as the mushroom is really fragrant despite not being marinated. Don’t forget to add the house-made chili for a sweet and spicy kick! Granny’s Pancake actually has multiple outlets all over Singapore, but I only tried it in Bendemeer Market & Food Centre. What’s so special about Granny’s Pancake is that the stall allows you to add peanut butter (additional $0.40) to its pancakes. The truth is, Granny’s Pancake’s peanut, red bean and coconut pancakes are nothing to shout about. But wow, adding peanut butter to the peanut pancake ($0.80) changes everything! The pancake will blow your mind! I didn’t know that savouriness stacked on savouriness will be a successful move! Before we even finished the pancake, my colleague already ordered a few more to take away. I love it too! Opening Hours: 4.30am to 2pm daily. I actually stay quite far away from Bendemeer Market & Food Centre but I visited this centre at least 4 times so that I can share all the gems with you guys! Sadly, Bendemeer Market & Food Centre will be closed from 2 May 2019 to 1st August 2019 for repair and repainting works. Head over while you still can! Let’s build a food community that helps to update the food news in Singapore! Simply comment below if there’s any changes or additional info to Bendemeer Market & Food Centre. We will verify and update from our side. Thanks in advance! 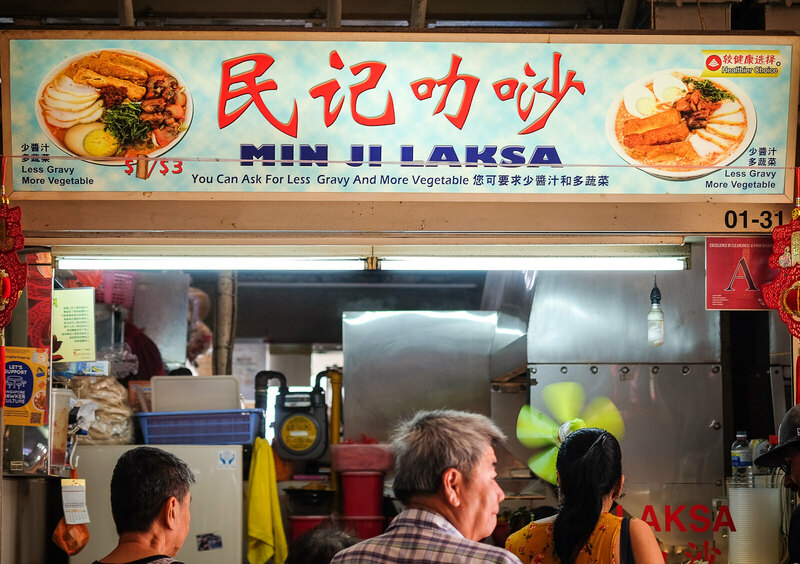 Looks like a great place to try original Singaporean’s favourites. correction: granny pancake opens at 4:30am.